75% of Greeks call themselves religious. PRAVMIR. June 20, 2014. 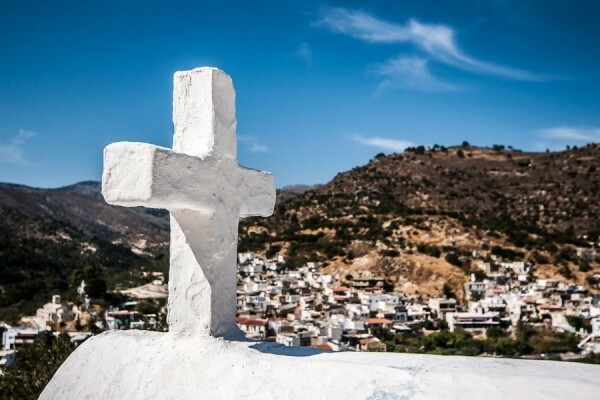 A pan-European survey conducted by the Department of Social Research in nineteen European Union countries recognized Greeks to be the most religious people in the EU. The results of the survey were published in a Guide to Mount Athos with reference to the newspaper «ΕλεύθεροςΤύπος». 75% of Greeks call themselves religious, and 46.2% said that they pray regularly. The corresponding figures for Catholic and especially Protestant countries are much lower. In countries with a predominance of citizens who are Catholic, 25.4% pray regularly, while in countries with Protestant citizens, 17.9% of the population pray regularly. In Greece, 26% attend church at least once a week; in Catholic countries, 25.6%; and in countries dominated by Protestants, 7.7%. The highest percentage of people attending church services is in Ireland (53.8%) and Poland (56.7%). Only 1.7% of Greeks say that they are “irreligious” and only 4.1% of the people admitted that they do not pray or go to church at all.